First Steps to making your dream home a reality. Do you already have a piece of property and ready to build your custom home? GNB Builders will assess your current lot with you reviewing the positive aspects of your property and how to build to optimize your land, meeting your needs and taking advantages of views or special features. Are you ready to build your custom home but have not begun looking for property? GNB Builders can help you narrow down your search by understanding your wishes and dreams for your custom home. Are you looking for a property with Ocean Views, Private Woodland Retreat, or a Quiet Residential Neighbourhood? What is your price range? What community amenities are important to you. Vancouver Island offers a variety of properties with special features that suit many lifestyles. You can still find beautiful acreages on Vancouver Island’s mid-coast for reasonable prices, compared to the Lower Mainland and Victoria (Chemainus, Ladysmith, Cedar, Yellowpoint, Nanaimo, Lantzville, Nanaimo and Nanoose). Once the parameters are set you are ready to shop for your future home site. GNB Builders works with some of the best realtors based in Ladysmith, who can assist you to find the property of your dreams. GNB Builders believes that the first step in construction begins with the property. The municipal and regional zoning and bylaws need to be reviewed first to ensure your plans comply. The cost of site preparation can be significant due to the topography of Vancouver Island. To begin, an initial assessment of your property will be conducted to identify any challenges that may arise during pre-construction site preparation. GNB Builder’s experience with the islands terrain and weather gives us a leading edge in ensuring your property is developed to the full potential. Working with you and your families needs, we can develop your vacant land, including road layout, house positioning, tree removal, site preparation, septic fields installation and service hook-ups. Greg has keen eye for positioning your home to optimize the natural terrain and make your home looks like it fits into it’s surrounding. During the site preparation, the first stage of your landscaping can be completed. GNB Builders works with same local experts and contractors to ensure your property is handled with care for you and the environment. You may have already employed an architect to complete your home plans. 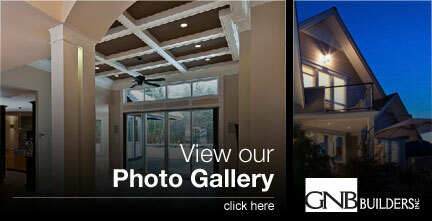 GNB Builders is happy to work with your architect to build your home that you have created. You may have many ideas, photos and drawings of what you want but need help making them become tangible. GNB Builders works with an architect to make your ideas come alive. Today there are many home plans on the Internet, home plan magazines and books available. Perhaps you have found a house that meets the criteria that you are looking for that require a few changes. GNB Builder can work with these plans, personalizing them for you. This is one of the most economical and easiest ways to purchase plans.